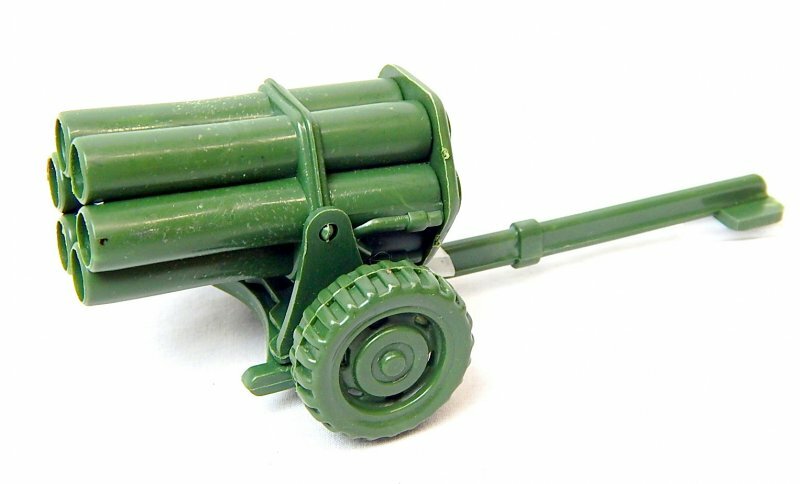 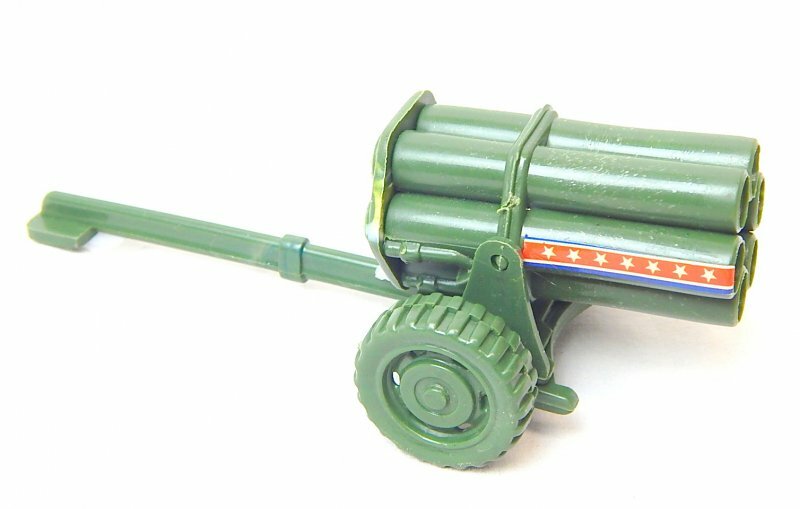 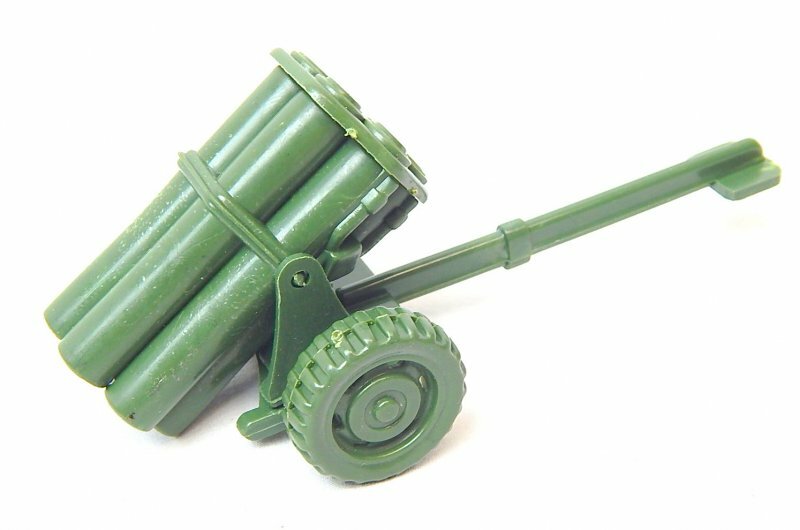 WWII Modern Style Green Plastic Mobile Rocket Battery. 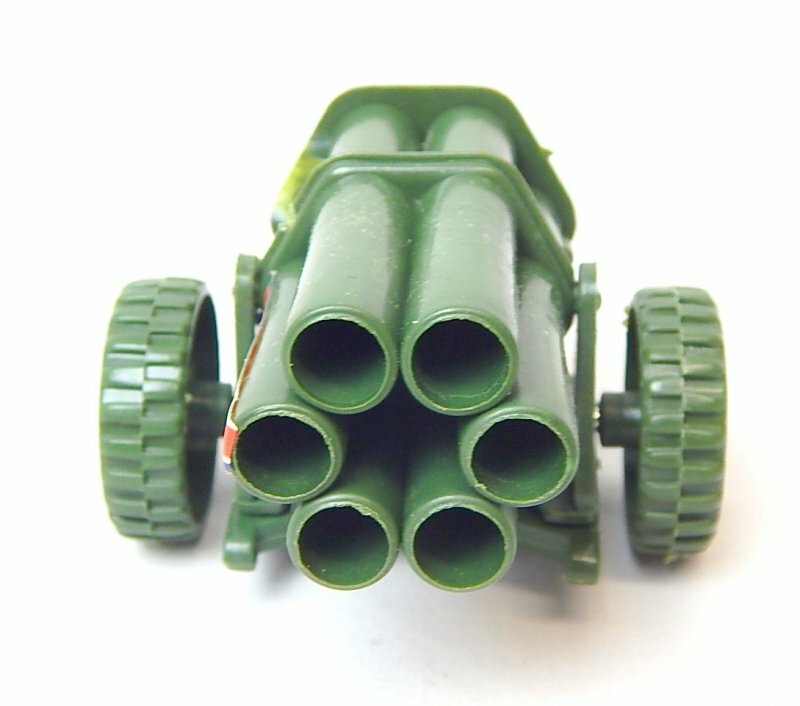 With 6 tubes, approx 5" long, 2 1/2" wide, and 2" tall. 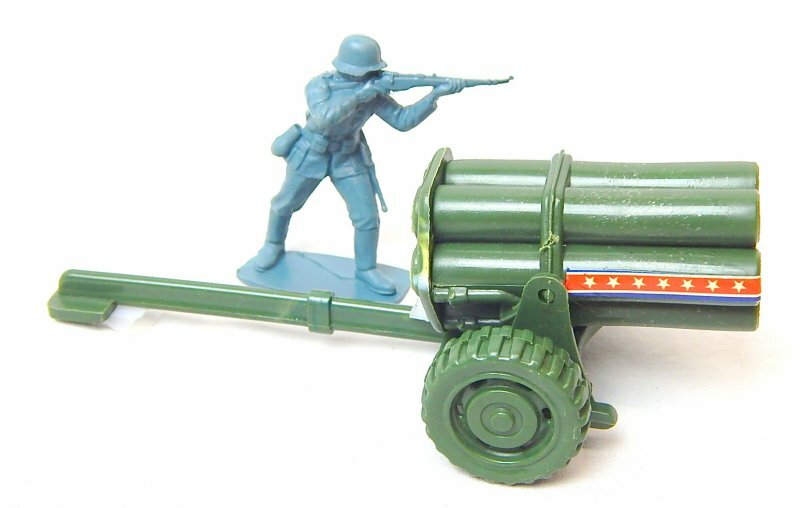 Tube section removable...piece is a bit 'off balance" recommend tape as shown or glue to keep it upright...1/32 54mm soldier for scale only and not included. 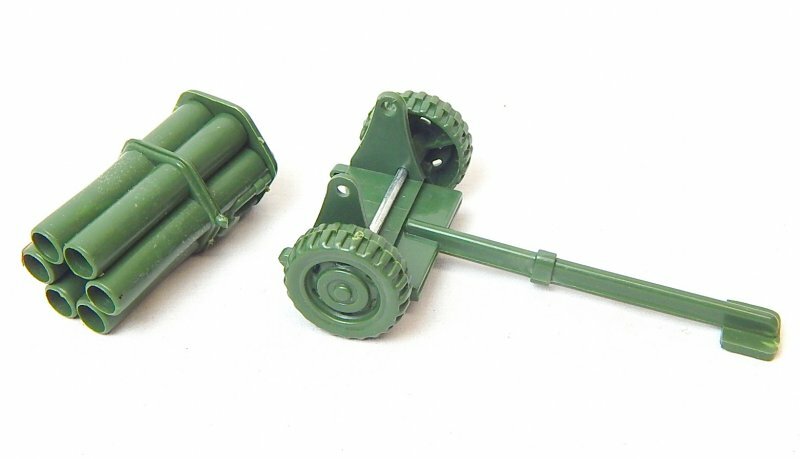 Lots of Uses!